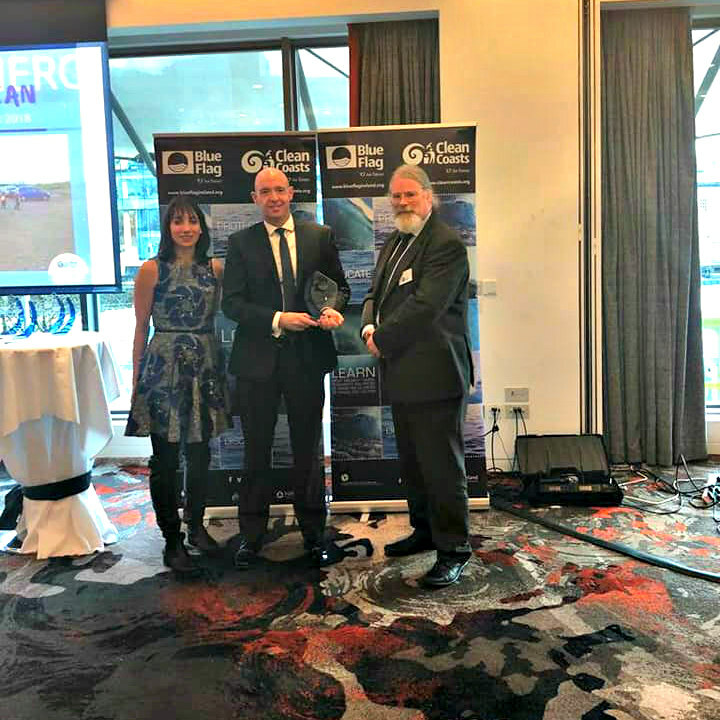 We are delighted to announce that we have won the Ocean Hero Beach Clean of the Year Award for three Eco-adventures we ran in north Sligo this year. 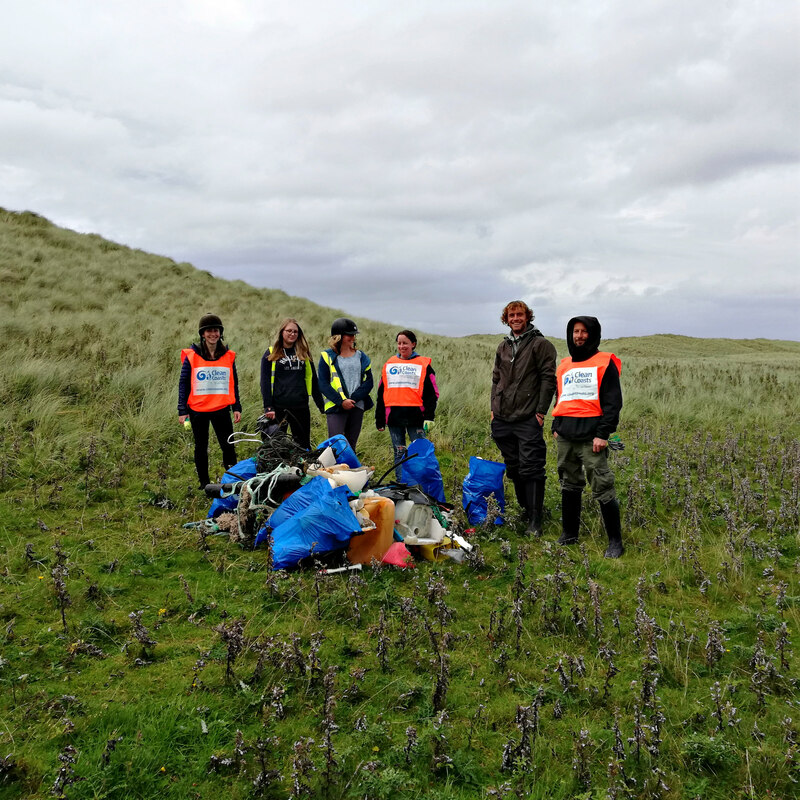 The adventures involved cleaning hard to reach stretches of coastline in north Sligo during Clean Coasts’ Big Beach Clean Weekend in September. The Clean Coasts’ Ocean Hero Awards are about honouring the invaluable contribution Ireland’s coastal communities have made towards conserving our spectacular coastline. Clean Coasts engages communities in the protection of Ireland’s beaches, seas, and marine life. The programme is operated by the Environmental Education Unit of An Taisce and is currently funded by the Department of the Housing, Planning & Local Government and Fáilte Ireland. Havin’ a Laugh has been registered as Clean Coasts group since 2014 and in that time have taken hosted numerous Eco-adventures and yoga on the beach activities during clean coasts week. Blaithin Sweeney the chairperson of the charity was delighted to win the award exclaiming “We Won!!! So elated to get this award. It isn’t always easy to keep the good work going but moments like these certainly lift our spirits. Thank you Clean Coasts for nominating us”. The eco-adventures were held on Sunday, 16th September with a group kayaking from Milk harbour north of Grange out to Dernish Island collecting 20 bags of rubbish, volunteers then went trail running on Streedagh beach while picking up litter also known as plogging, and finally, a team went horse riding to Trawluath beach and cleared a remote stretch of coastline. The most common litter items found during the clean-ups were, fishing debris and plastic bottles, lobster pots, ropes, plastic containers, and 20-gallon drums. The event was organised by the Havin’ A Laugh charity and the following activity providers donated their time: Northwest Adventure Tours (Trailrunning), Fitness4All (Trailrunning), Sligo Kayak Tours (kayaking), Island View Riding stables (Horseriding) and Seastainability.